Imagine that Fujiya & Miyagi are mask-wearing technicians dissecting music, keen to magnify particles of sound to create a pulsing antidote to the ordinary. They speak in tongues, using language as a rhythm, picking words that sound good, rhyming ‚jigsaws‘ with ‚carnivores‘. Their songs are incisive snapshots of real lives that make household appliances sound threatening. They are steeped in vintage music from evocative krautrock to deep soul, with wafts of early Human League synth, Floydian Englishness and the throbbing groove of Tom Tom Club, all filtered for modern times. A 12-inch, Uh, further concentrated their sound. A set of vocal ticks, a funky bass and a storyline about a relationship as prickly as two porcupines, it made small talk sound sinister over an infectious groove. 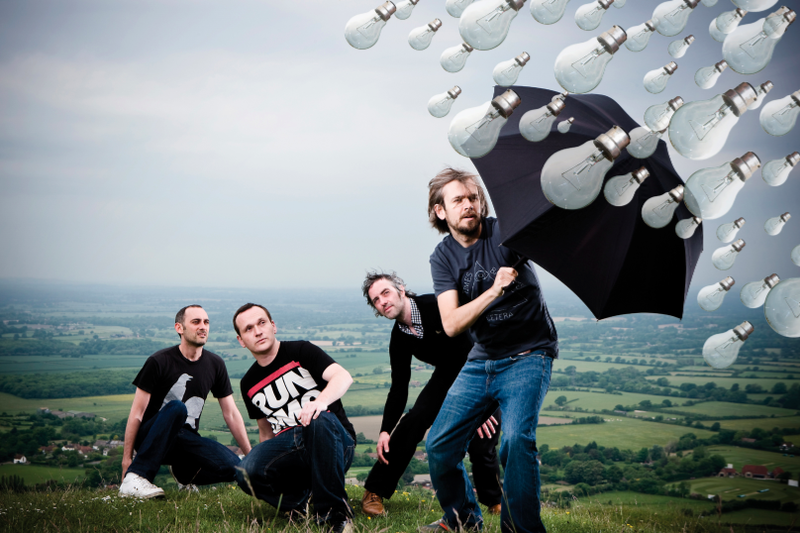 It was the perfect set up for their first album proper, Lightbulbs – imagine 11 classic ideas clicking on above your head, now with real drums in places, courtesy of Lee Adams, and the picture is complete. Fujiya & Miyagi stay away from lyrical themes that have been done to death. Using old synths to punctuate their beautifully-observed anecdotes on romantic triumphs and disasters, heroes and villains and the world at large, their rhythms palpitate to produce modern symphonies like no-one else. Lightbulbs is a journey littered with fragmented images, anecdotes from the sublime to the ridiculous, blurry stories that you feel you shouldn’t have overheard. Each track an aural contamination set to itch your inner ear every waking moment. „I’ll never be Big Maybelle,“ says David Best of his unique singing style. True, but as a stylist fronting a band inspired by their evolution, plundering the past but set in the future, Fujiya & Miyagi’s Light Bulbs carves a niche of its own. This is truly contagious music, a completely unique take on modern pop music that’s completely their own.